Lady Superstar Nayanthara’s ‘Imaikkaa Nodigal’ revolves around how a psycho murderer called Rudra is nabbed by a CBI officer. Anurag Kashyap plays the role of a psycho-killer who kidnaps sons, daughters of important people for many, but then also kills them gorily. 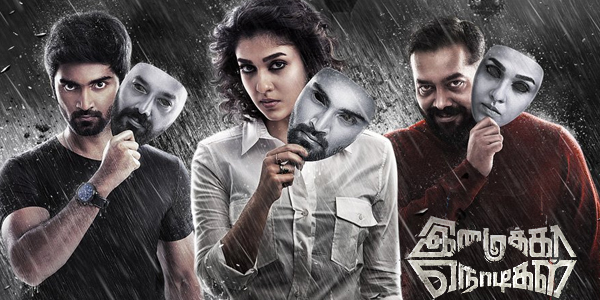 And Nayanthara is the lady who fights the fight to nab this serial killer. But here’s the twist- she had already killed the guy in an encounter and there lies the confusion as for how he might have surfaced again. Colleagues suggest it’s her brother Atharvaa who masquerades as the killer. So the hunt begins for Rudra. Who’s he? How Nayanthara is made to earn a bad name- these are some highlighted conflicts that the story traverses. 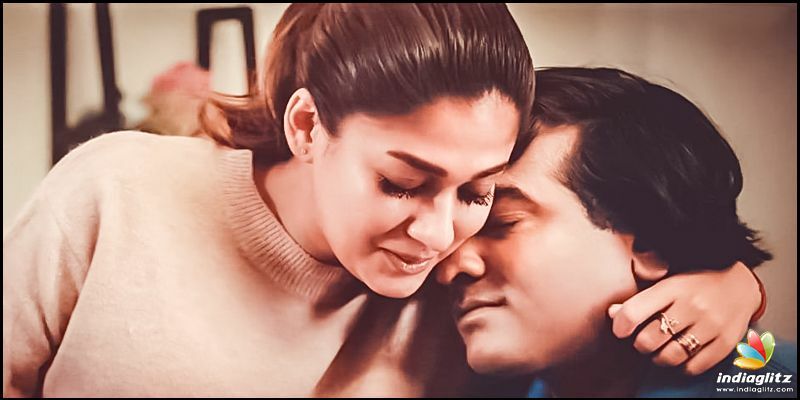 However, one thing that you will fast observe is that the writing of character Anjali, CBI officer which Nayanthara plays, apparently doesn't quench her performance appetite. Her character comes off as somewhat mellowed down albeit giving her more of a ’mass’ makeover. In short: artificial. But you’d be surprised at the contrasting prowess that she exudes in the flashback portions with Vijay Sethupathi. 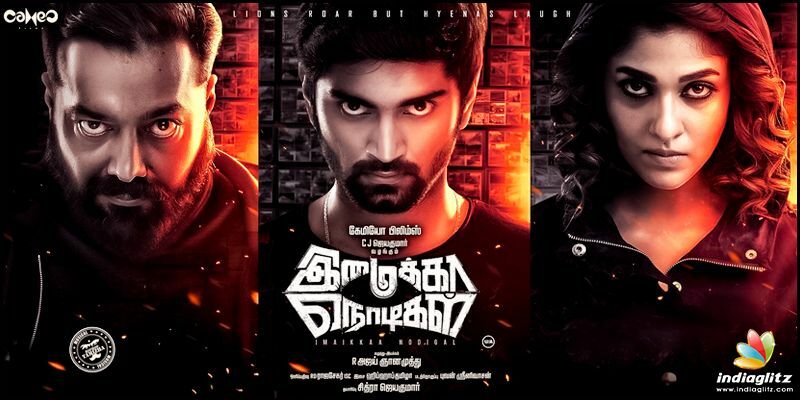 Atharvaa shines in his role. Not only along the story’s arc, but his acting and performance stand out in supplementary plots like love, romance, break up and especially the action sequences- kudos. And consider Anurag Kashyap’s character development. It leaves you developing a sort of ‘respect’ for him as you consider the incidents that lead him to be like this. The director has thrown light on how an individual’s efforts taken credit by someone else who gains fame out of it, the surrounding pain has been diligently expressed. And coming to Anurag Kashyap’s acting, well no surprises if he gets more roles down south. It's Rashi Khanna’s debut movie in Tamil. Her acting comes off ‘okayish’ but totally ornamental to the film and hence gives itself to an incomplete appreciation of her performance. 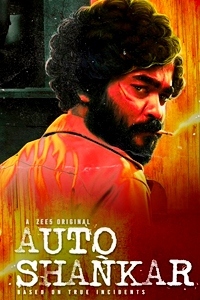 The scenes where Vijay Sethupathi appears in the story is impressive, not to mention that his character in the film is the fulcrum to the story. VJS-Nayanthara scenes though a few in the film brims with maturity. But again, the audience might question the frequency of songs in a crime thriller. Aadhi’s bgm though not striking does justice to the movie. 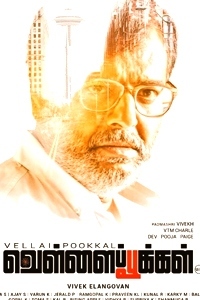 Cinematographer RD Rajasekhar has cranked the camera for the movie and his photography is something that you’ll love. 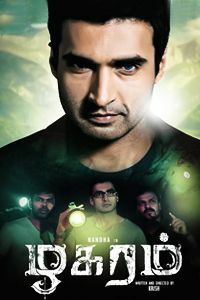 Lookout for the chase scene where police go after Atharvaa. 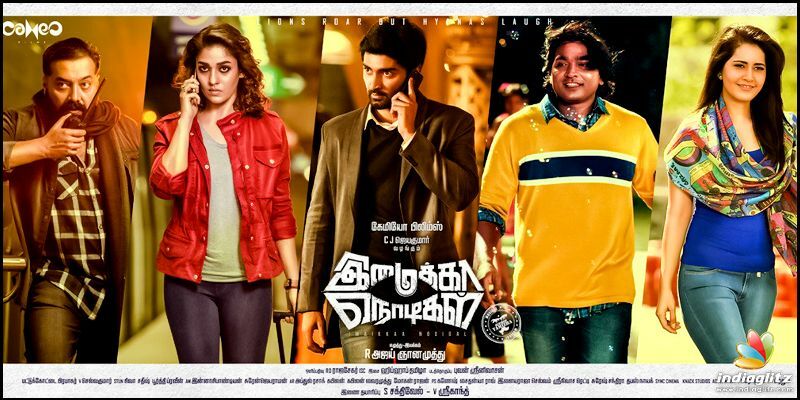 Ajay Gnanamuthu who has given us ‘Demonte Colony’ has lagged a bit in ‘Imaikkaa Nodigal’ screenplay. The Atharvaa- Rashi Khanna love portion comes off as a big dent in an otherwise taut screenplay. Nayanthara’s thinking process as a CBI officer could have been amped up a further to be a lot more convincing. She comes face to face with the killer but lets him walk free and also submits to all his demands as well. These things make us go scratching our heads. And when Atharvaa easily finds out stuff that officers have a tough time doing, we tend to think it’s unbelievable or that the director had not worked us up to believe it. 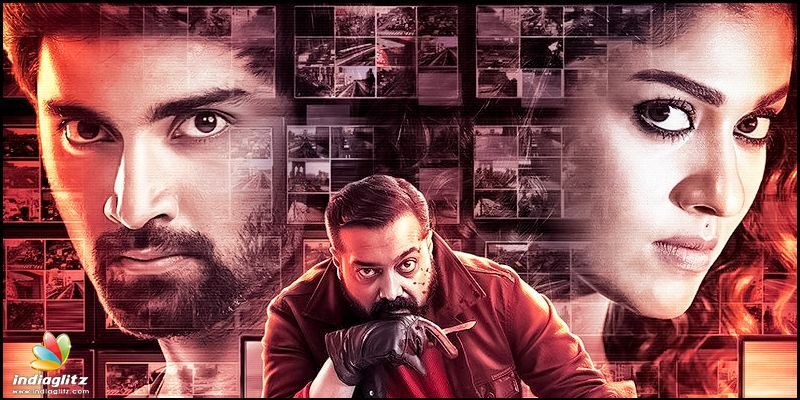 One of the strong points of the film is how the director has made it nearly impossible to guess the backgrounds of characters especially Nayanthara and Anurag Kashyap’s. Verdict: Watchable once - you might like the twists, turns in the second half and due to the thriller element.